Have you heard of Be My Eyes? It’s a smartphone application that pairs blind people and those who have low vision with a sighted volunteer. Using a phone’s rear-facing camera, volunteers guide the visually impaired; more than 900,000 people are using the app regularly, in 150 countries. 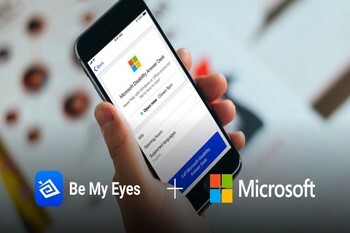 Microsoft’s Disability Answer Desk, a free consumer service for customers with disabilities, now offers technical support for Be My Eyes users. Assistive Technology can vastly improve the quality of your life, SDCB can help. "Microsoft to offer technical support to Blind and Low Vision customers through Disability Answer Desk"